If you want lean results fast, you need a scientifically advanced thermogenic formula. Fast-acting quick-release whey protein isolates plus concentrates create an ideal environment for lean muscle growth and enhanced recovery post-exercise. Powerful T4 thermogenic complex to build your ripped physique faster. Proven to boost energy, burn fat and speed up your metabolism. Get your ultimate body faster with clinically proven ingredients designed to smash fat, accelerate calorie burn and chisel your six pack abs. 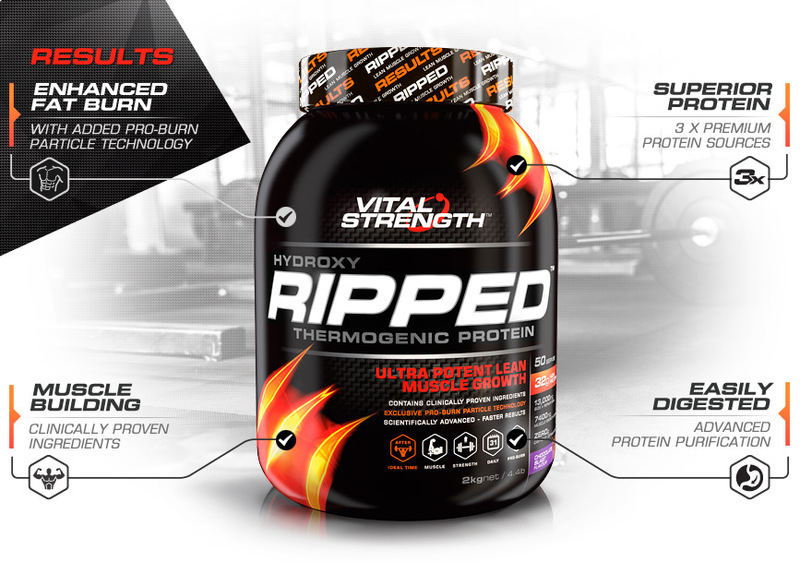 High nitrogen environment with multi-phase protein absorption stimulates natural anabolic production. 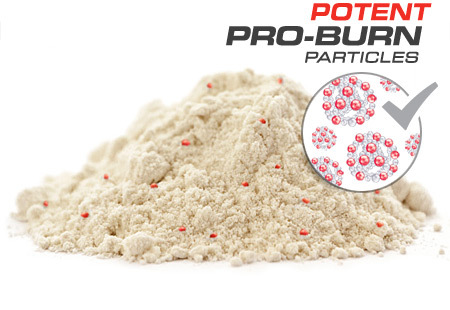 The only protein in Australia to use innovative RED Pro-Burn Particles to help burn fat faster. 7,400mg of Branched Chain Amino Acids (BCAAs) supports lean muscle tissue growth while reducing muscle breakdown plus glutamine precursors to boost and prevent muscle soreness. Highly purified whey protein for increased digestibility and nutrient uptake. Over 10 weeks, 102 subjects in a metabolic pathways study using key ingredient in Vitalstrength Hydroxy Ripped™ (African Mango extract - Irvingia gabonesis) achieved a significant reduction in body fat percentage. (-6.3 versus the control group -1.9). Shown in clinical trials to significantly reduce body fat %. Assists the metabolism of fat by transforming fatty acids into energy. Assists with fat and energy metabolism in the body. A liptropic agent that further assists with the metabolism of fat stores. Available in mouth-watering Vanilla Ice-Cream, Chocolate Blast, Wild Strawberry & Banana Split. We don’t use cheap, low quality WPC made from outdated refinement methods. We insist on the best quality sources and high grade processes resulting in superior biological availability and optimised absorption. 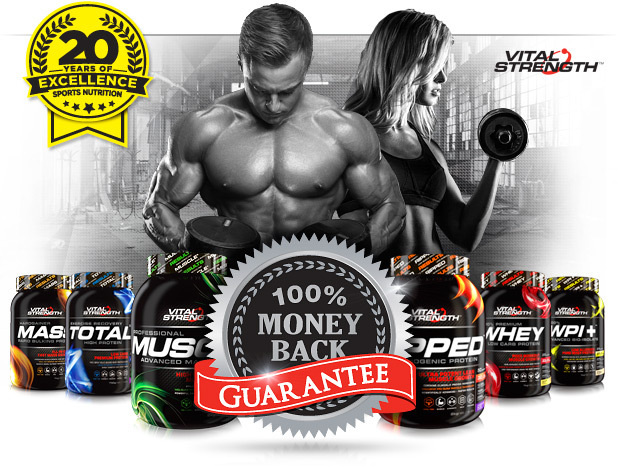 Branched Chain Amino Acids – Leucine, Iso-Leucine and Valine for proven muscle recovery and growth. 100% caffeine and stimulant free, ideal for use at any time of day. 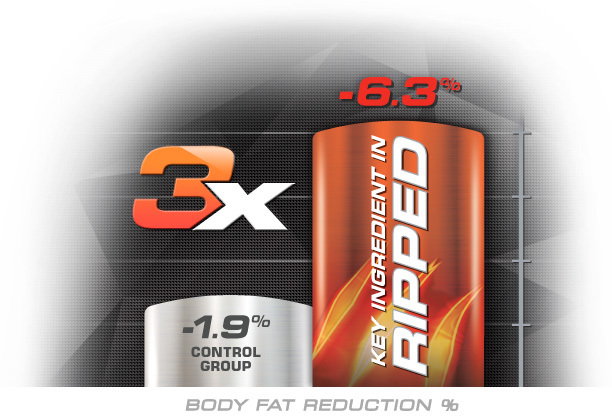 Scientifically formulated to assist energy expenditure to support fat loss and improve body composition. Advanced refinement process delivers a low carb and low fat formulation free from added soy protein. Vitalstrength Protein Blend (94%) (Instantised Whey Protein Concentrate, Instantised Cross Flow Microfiltered (MF) and Ultrafiltered (UF) Whey Protein Isolate, Calcium Caseinate (contains concentrations of beta lactoglobulin, glycomacropeptide, alpha lactalbumin, immunoglobulin, bovine serum albumin)), Fructose, T4 Thermophase (African Mango Extract, L-Carnitine, Chromium Picolinate, Choline, Colour (120)), Flavours, Guar Gum, Sweetener (Sucralose). [Cocoa in Chocolate Blast flavour only. Colour (124) in Wild Strawberry flavour only]. Made in Australia from local and imported ingredients. Contains milk and soy products. Soy lecithin is used to intantise whey proteins and is less than 1% of the whey product. May contain traces of wheat, egg & cereals. I've been using this protein on and off for months, it's good value because it has a high percentage of actual protein, meaning the serving size is small (40g) so it lasts ages, the fat burner in it works noticeably so l can eat pretty much whatever else I want, and it tastes great. Have recommended it to several friends in the past. 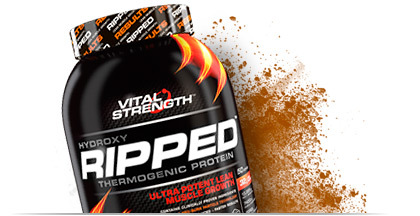 I have been taking the Vital Strength RIPPED for over 4 months. I lost 5kg without any hustle + built good quality of muscles. Good part of the RIPPED that it contains low sugar, low carb and high protein. The RIPPED is the perfect for trainer who is seeking build muscle but don't want to put too much weight. Great price, taste and ingredients. What more do I need to say. Amazing results from a phenomenal product! I am amazed with the results of "Ripped"! I used to use various other products throughout the last 2 years in the gym. I tried ripped because I was working hard and not getting the results I wanted. Within 2 months of using Ripped and no other changes to my diet or workout routine, I have lost 7kgs of fat and gained 5kgs of lean muscle. My abs are now visible and the definition of my muscles such as arms, back and shoulders is awesome. The chocolate blast flavour is great so I just bought a 5kg bag of Ripped because I'm that confident in the product performance and the results are clearly visible. Used it for a few years now, great tasting. Just got myself some more. Results are very quick. Easy to digest and don’t feel hungry for long while. You will get good body shape - exactly as ripped as you want. 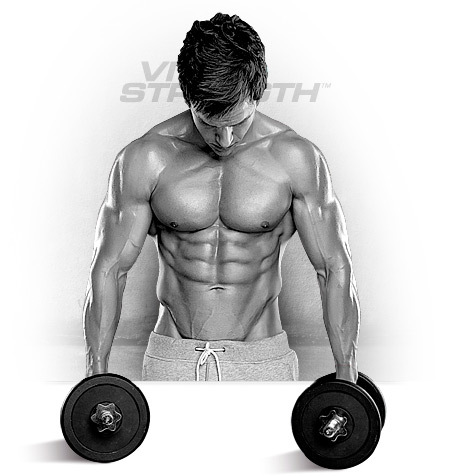 Vitalstrength is very reliable and fast service provider. So I always trust on them. Prices are very competitive as well. This company is very easy to deal with great customer service and this product is awesome! I've tried a few different protein powders and Vital Strength Ripped is the best I've come across. It tastes great with just water, but you can mix it with milk or add some fruit for a smoothie, it doesn't clump, and did I mention is tastes great? The flavour doesn't taste like it's masking something nasty, it's more like flavoured milk like a Big M or something similar. I genuinely look forward to my protein shakes now as it tastes like a treat but it's packed with protein and low on carbs. I couldn't recommend it more. Having gone through many different brands of vanilla protein powder, we've found this one to be the most delicious. Just like a milkshake, even when made on plant milk. Add fruit (banana and frozen mango - perfecto) and voila, you've got a tasty post-training treat! Other brands have a weird aftertaste, like the flavour is unsuccessfully masking something nasty - kind of like a weak air freshener in a public toilet - no, Vital Strength's flavour is robust and hearty, a flavour to have a flavour, not a flavour to mask ickiness. Vanilla Ice Cream is a favourite. The chocolate also tastes like chocolate (just because the powder is brown, doesn't make it 'chocolate' - I'm looking at you, Other Brands). Have not yet tried the strawberry or banana flavours, but have high expectations! Good value for money. Great macro ratios. Winner! 1kg = 25 Serves | 2kg = 50 Serves | 3kg = 75 Serves | 5kg = 125 Serves. Mix 40g (approx 2 scoops) with 250-300ml of cold milk or water. Best taken within 30 minutes of training and/or between meals. Serving size and frequency may be increased for athletes after consultation with a fitness or health care professional. Vitalstrength Protein Blend (94%) (Instantised Whey Protein Concentrate, Instantised Cross Flow Microfiltered (MF) and Ultrafiltered (UF) Whey Protein Isolate, Calcium Caseinate (contains concentrations of beta lactoglobulin, glycomacropeptide, alpha lactalbumin, immunoglobulin, bovine serum albumin)), Fructose, T4 Thermophase (African Mango Extract, L-Carnitine, Chromium Picolinate, Choline, Colour (120)), Flavours, Guar Gum, Sweetener (Sucralose). [Cocoa in Chocolate Blast flavour only. Colour (124) in Wild Strawberry flavour only]. Made in Australia from local and imported ingredients. Contains milk and soy products. Soy lecithin is used to intantise whey proteins and is less than 1% of the whey product. May contain traces of wheat, egg & cereals.